Hotel Overview The hotel is build according to the newest tehnologies for European building and offers opportunity to spend pleasant holidays.There is a wide panoramic scenery from the hotel rooms to the beach and the sea. 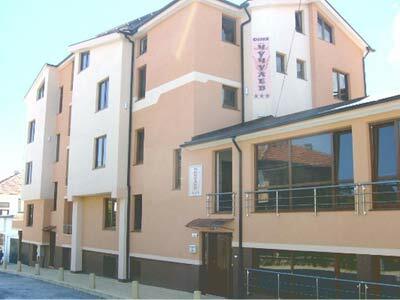 Hotel Chuchulev is located in the new part of Sozopol, on the main street, 80 m from the beach. 5 two bedroom apartments, 2 VIP apartments, 14 double rooms, 2 triple rooms – all with WC. Entire capacity of 60 beds. Facilities Hotel and room facilities of Chuchulev Hotel - point the mouse over an image to see the meaning.